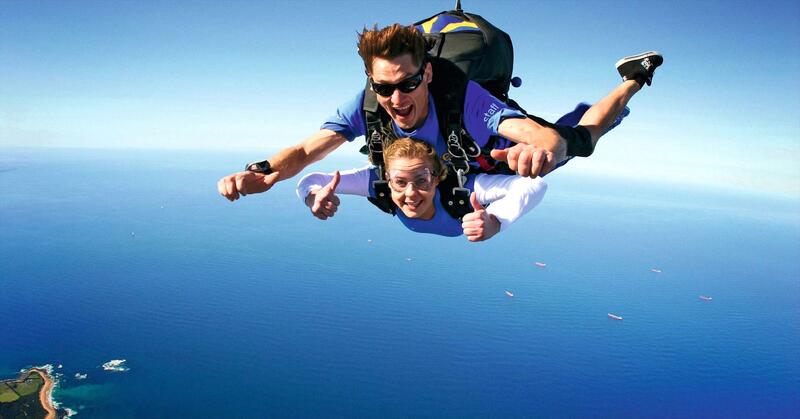 Skydive from up to 15,000ft directly over popular Byron Bay surf beaches and famous light house! 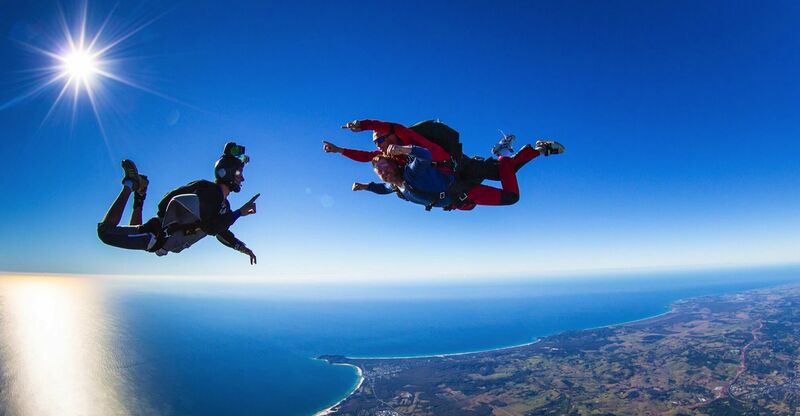 Experience the thrill of freefall for up to an insane 60 seconds, then soak up the incredible Cape Byron coastal views as you glide under the parachute for over five minutes. 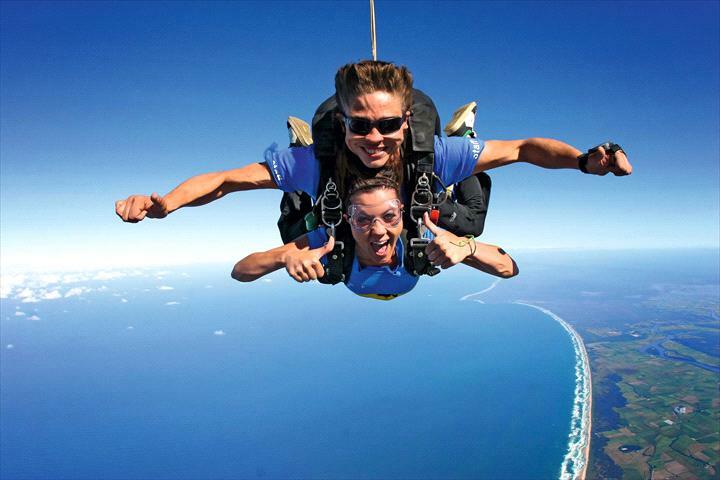 Free bus transfers from Byron Bay, Brisbane and the Gold Coast available. 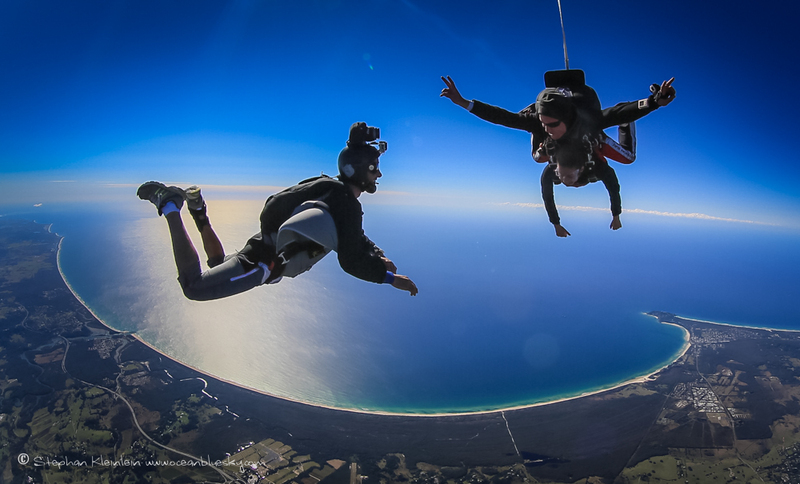 Awesome Video and Photo packages available to purchase on the day to make your skydive one to remember forever!